Ever had your car damaged in a car park? According to RAC Insurance research, a third of you have returned to your vehicle in a car park to find that it had been damaged at least once, with an average bill of £2,050! Shockingly, nearly of a quarter of you (23%) have endured five incidences! Nowadays, vehicles are becoming increasingly larger whilst car parking spaces are getting smaller, which is leading to more and more accidents in car parks. The issue of crowded car parks now means that parking prangs are now costing us more than £1.4 billion per year, according to Yahoo Finance UK! 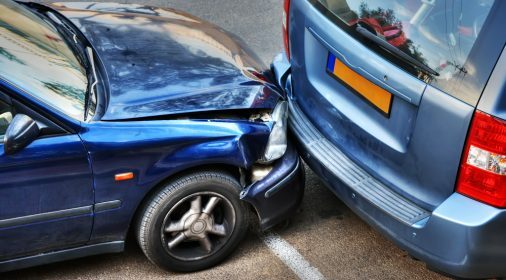 Supermarket car parks were named as the number one spot for British motorists to endure a car park accident, with 48% of people who picked up damage in car park claiming that this is where their car got scratched or dented. But how do you avoid accidents in car parks? We’ve put together some tips to help you avoid picking up car damage in a car park, as well as helping you to avoid hitting a parked car yourself! Keeping your eyes peeled for any possible hazards could help you to avoid accidents in car parks. For example, steer clear of the trolley park and look out for any vehicles that are reversing out of space and in danger of colliding with you. 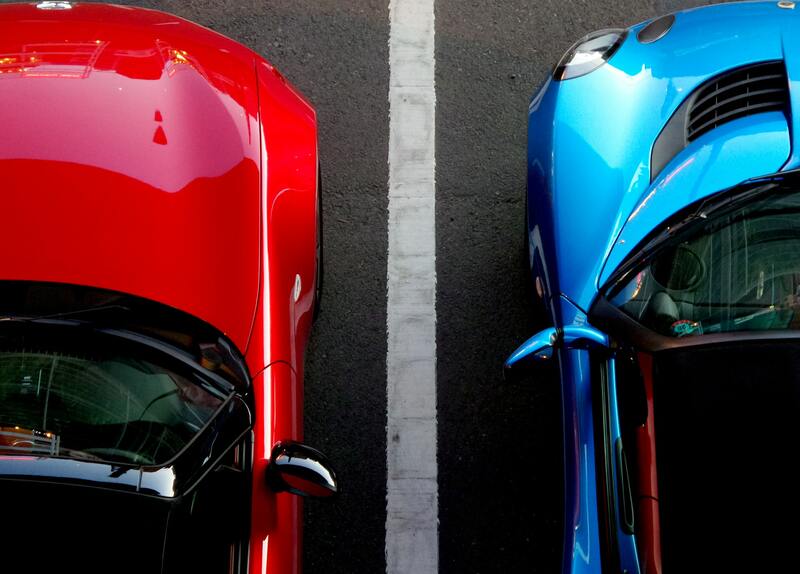 To avoid accidents in car parks, try to ensure that you park as straight as possible within the white lines, so there’s less chance of another car knocking yours. If possible, try to reverse into your parking space as it gives you greater control and makes it easier to manoeuvre out of the space. If you’re driving quickly round a car park or hurriedly reversing out of a space, you’re far more likely to cause a car park accident. When reversing, remember to check your mirrors, blind spot and turn your head to ensure that it’s clear. To avoid hitting a parked car, you should also make sure you open your doors slowly when entering and exiting your vehicle. It’s easy to push the door and lose control of it so that it flies out and scrapes and dents another vehicle. According to research by RAC, just over half (53%) of motorists who suffered from car damage in a car park believed it was a result of another vehicle scraping theirs. Approximately a third (32%) assumed that it had been caused by a car door being opened on to it. Therefore, it’s important to encourage your passengers, particularly children, to pay attention to opening and closing vehicle doors slowly and carefully. Generally, most people try to find the closest parking space to the building, but that’s normally where it’s congested and difficult to park. Instead, look for spaces at the end of a row and any wider spaces that offer more room. If there’s a space available where you are able to move forward into it when not occupied by another vehicle, then choose that one. Furthermore, it goes without saying that you should try and opt for spaces that aren’t wedged in between two cars, as this makes it less likely for you to pick up car damage in a car park. 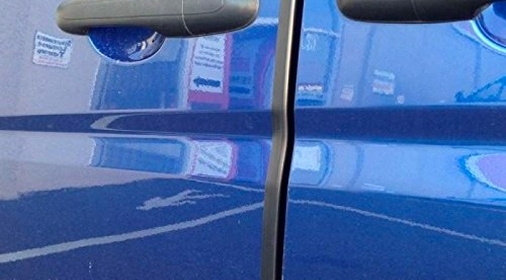 If your parked in a space which is particularly tight, fold in your wing mirrors. Parking next to poles, pillars and walls gives you more obstacles to manoeuvre around when moving into and out of a space. If you want to avoid accidents in car parks, try avoiding these! 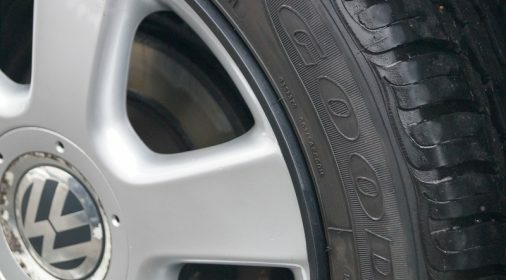 Cars in good condition tend to have more careful owners, whereas cars which are covered in scrapes and scruffs may be owned by people who aren’t so vigilant! If you fall into the bracket of unfortunate people who have had their car damaged in a car park, then take a look at our blog ‘What to do if someone hits or damages your parked car’ to find out what you should do next! And if you’re looking to get those annoying scratches and scuffs fixed, request a free quote with ChipsAway today by clicking here. We are experts in repairing everyday wear and tear to your car paintwork, operating from fully-equipped mobile workshops and fixed-based Car Care Centres.